1. Thursday. 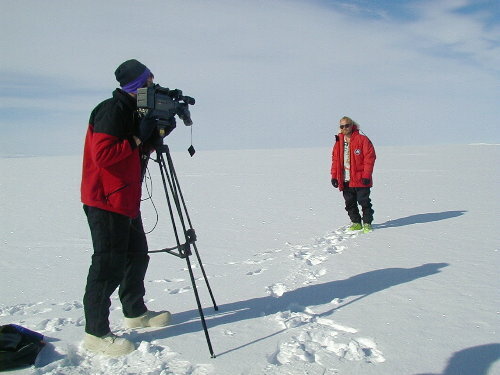 In preparation for the ABC Millenium broadcast Peter Jennings asked us to put together some footage from Antarctica. Due to my acute sense of hearing I was asked to be the sound technician during the shoot. We interviewed a variety of people and staged all kinds of “Antarctic Celebration Moments”. I had a lot of fun during the filming but to the best of my knowledge none of the scenes we shot were used in the program.